Unfinished business indeed. 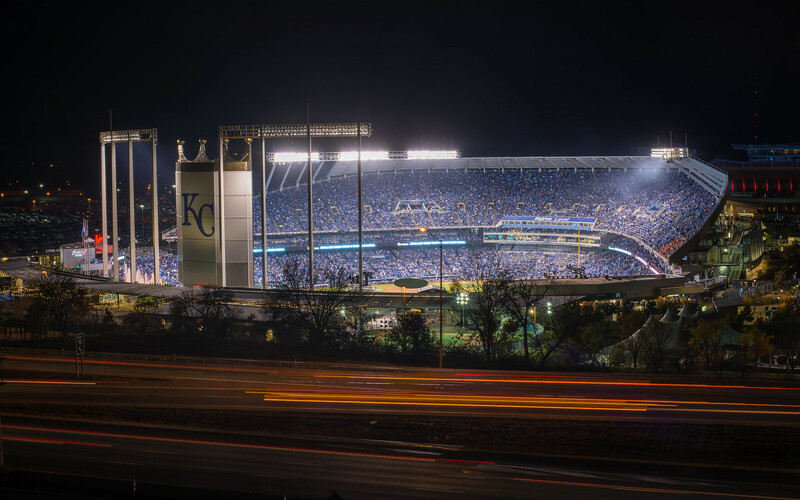 From winning the home opener in Kansas City to winning the World Series in New York, the Kansas City Royals played through the 2015 season with relentless passion in pursuit of becoming World Champions. After more than 800,000 fans descended on downtown Kansas City to help celebrate the boys in blue, Visit KC put together a quick look back at the journey from #TakeTheCrown to #Crowned. For the second year in a row, the Kansas City Royals returned to the postseason after winning their first division title in 30 years. Kansas City fans were ready to join the team and #TakeTheCrown as we welcomed another Blue October. Welcome back to the World Series, Kansas City. With a second chance for the Royals to become World Champions, the city turned up its passion to another level for the Fall Classic. From fountains and flyers to larger-than-life watch parties, we painted the town blue like only Royals fans know how. Kansas City showed up big time to celebrate the "boys in blue." More than 800,000 fans of all ages attended downtown's World Series Championship parade and rally on Nov. 3. The celebration itself also made history -- as the largest gathering in Missouri state history. Kansas City Royals fans from around the world shared their passion for their team and this city via social media. Below, you’ll find what fans shared as they captured the excitement of a World Series win.